Everton sacks Sam Allardyce – Royal Times of Nigeria. 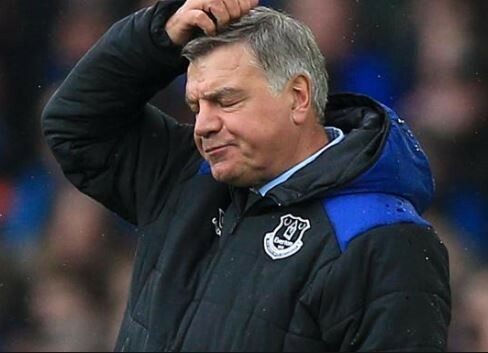 Everton football club has parted company with Sam Allardyce despite the former England manager leading the club away from relegation and having another year left to run on his contract at Goodison Park. Allardyce was appointed as successor to Ronald Koeman on an 18-month deal last November, with an immediate brief of guiding Everton away from relegation danger. Despite leading Everton to an eighth-place finish, Allardyce’s widely anticipated departure was confirmed on Wednesday. Everton chief executive professor Denise Barrett-Baxendale said,”On behalf of the chairman, board of directors and [Everton owner Farhad] Moshiri, I’d like to thank Sam for the job he has done at Everton over the last seven months. Sam was brought in at a challenging time last season to provide us with some stability and we are grateful to him for doing that. However, we have made the decision that, as part of our longer-term plan, we will be appointing a new manager this summer and will be commencing this process immediately. Marco Silva is thought to be the frontrunner for the Everton post.